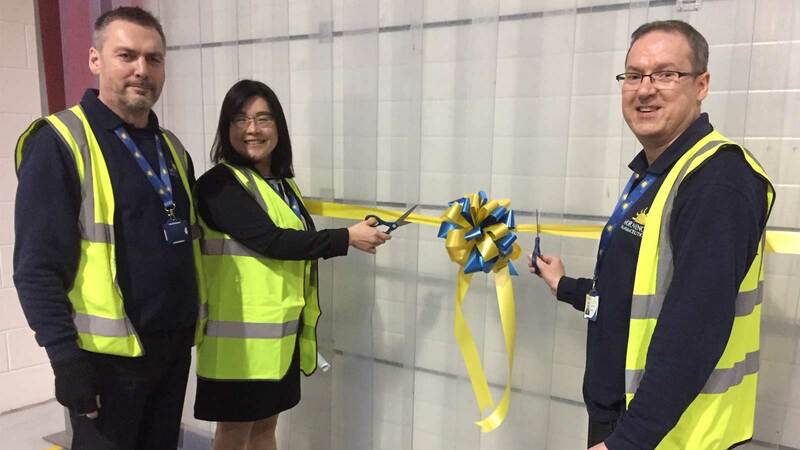 A new warehouse at Morningside Pharmaceuticals’ UK distribution centre has been officially opened. Each month millions of tablets, capsules and liquids leave our Loughborough depot with great emphasis on meeting our customers’ requirements. Our licensed pharmaceutical products are distributed twice daily nationwide in the UK, so they are available when our customers and their patients need them. We are also one of the largest suppliers of a wide range of quality medicines and medical devices to UN organisations, NGOs, aid agencies and charities, which in turn provide essential medical supplies to developing countries. Through our Loughborough distribution centre we deliver global aid to crisis-hit states in Africa, Asia, the Middle East and the Americas, having reached over 100 countries world-wide over the past 25 years. 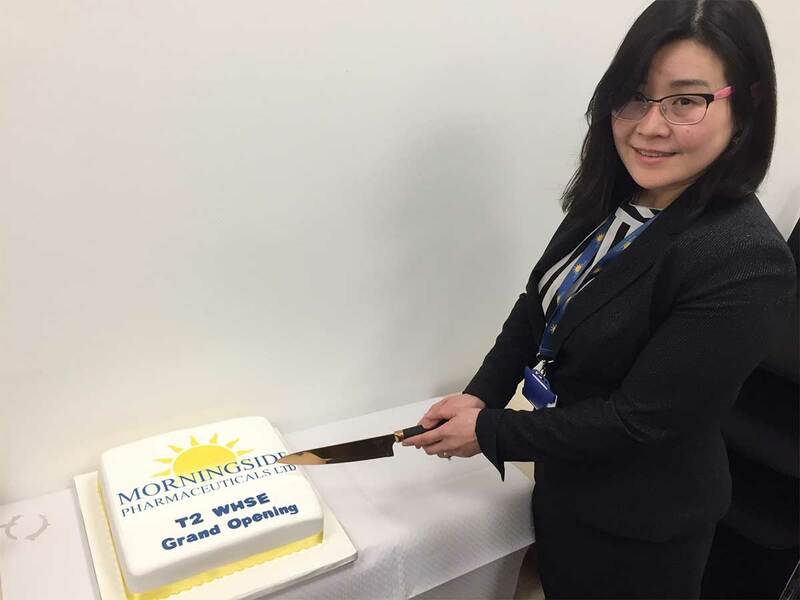 For the opening, all Morningside colleagues gathered in the new warehouse, where our Operations Director Monica Huang gave a short speech. The ribbon was then officially cut by Monica and our two Warehouse managers. Monica said: “The new warehouse complements our existing facilities and marks a significant milestone, as it provides valuable additional storage capacity for our business. “This would not have been possible without the dedication of our people who have been united and have worked together extremely well.